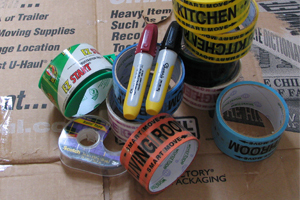 Properly packing, wrapping, boxing and taping up all your belongings can be just as difficult as moving them. With our top-notch packing services, we can do it all for you, making your moving experience that much easier. We’ll bring along the necessary packing supplies before the move, organize your belongings and box them up before packing them into the truck. And though all the bubble wrapping and taping will take place under your supervision, we know the methods for packing the tricky stuff: delicate porcelain, electronics and furniture.